It's no secret that the CTA has a host of haters on social media, but a recent study has concluded that it is among the most hated transit systems in big cities, according to Twitter. A six-year study at the University of Southern California published in December compared Twitter commentary on 10 different transit systems in North America with commentary about loved and hated celebrities as well as other city service departments, including police departments and park authorities. The study found that overall, transit systems received more negative commentary than almost any other government service, including the IRS. The CTA received the most negative comments out of the 10 transit systems in the study, which included those in Washington, D.C., Boston, Philadelphia, New York City, San Francisco, Portland, Los Angeles, Vancouver and Toronto. Part of the reason transit systems receive so much social flak is because they don't usually respond to the posters' complaints, according to the author of the study, Lisa Schweitzer. On the Twitter spectrum, the CTA received more negative commentary than the Kardashians, Southwest Airlines and the Vancouver Translink. On the bright side, it did do better than the TSA and Osama Bin Laden. 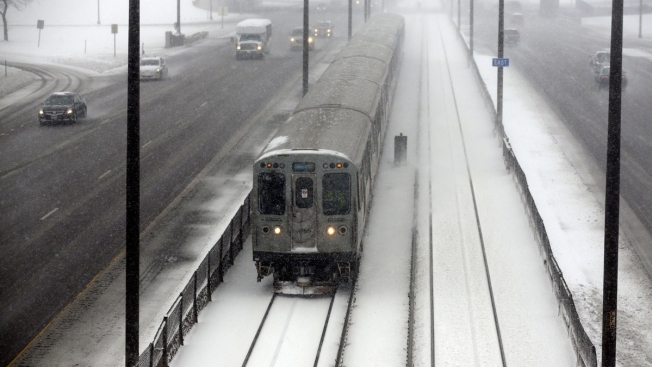 The Chicago Sniff Test: on entering any @cta train, take a deep whiff. If blasted with offensive odors, make haste to the next car's doors! Chicago's public trans uses cloth on all of their seats. Who at the CTA thought that was a good idea? With horrible @VentraChicago service and terrible drivers with @cta Chicago offers some of the worst transit service for a major city.